Researchers have found that European and North American populations of the bumblebee, a proficient pollinator of plants, have registered a sharp decline because of climate change. The researchers published their findings on July 10 in the journal Science. To carry out the research, researchers from various universities first assembled a database of 423,000 geo-referenced observations for 67 European and North American bumblebee species. The scientists found that over the 110 years that records have been kept, bumblebees had lost about 185 miles (300 km) of their habitat range from the southern edge of their range in Europe and North America. They also found that bumblebees are typically failing to migrate northwards as their habitat shrinks. This is in sharp contrast to what is seen in other animal species like butterflies. This unique phenomenon of bumblebees is attributed to their unusual evolutionary origins in the cool Palearctic (a zoogeographical region comprising Eurasia north of the Himalayas, together with North Africa and the temperate part of the Arabian peninsula) as suggested by the researchers of the new study. 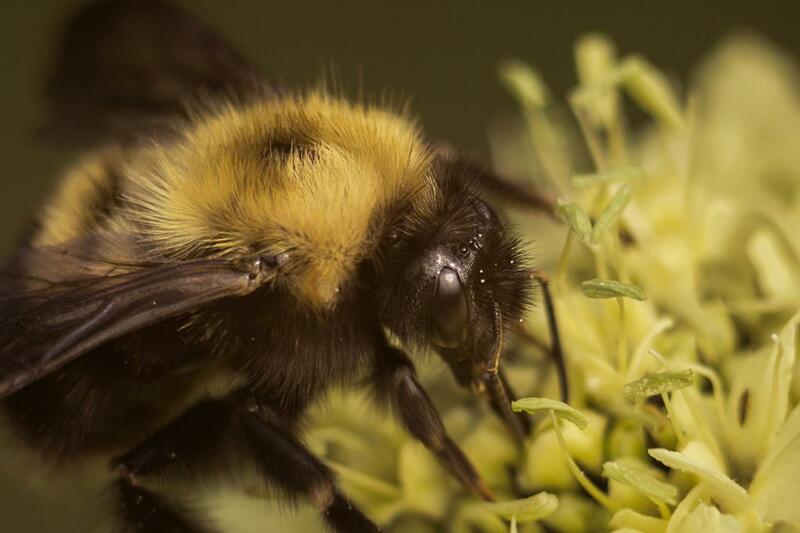 “There is an urgent need to investigate how climate warming is endangering native bumblebee species and ways to address this,” Leif Richardson, a USDA (United States Department of Agriculture) National Institute of Food and Agriculture postdoctoral research fellow at University of Vermont who helped lead the new research told Down To Earth. Besides climate change, factors such as land use and pesticide application were also evaluated by researchers of the new study. However, no significant correlation was found by them. "Bumblebee disappearances from warm, southern areas are just as likely when there is no pesticide use and little agriculture," said lead author of the study, Jeremy Kerr. The research revealed threats to human well-being and health of the ecosystems. Wild bumblebees are important pollinators of agricultural crops such as blueberry, apple, pumpkin and tomato, and declines in this ecosystem service of pollination could lead to lower crop yields and higher food costs, with consequences for both, human food supply and the economy. To mitigate the problem of declining population of bumblebees, Richardson also suggested some ground level initiatives such as reducing or eliminating the use of pesticides, providing bees with nesting, forage and overwintering habitats, conservation of natural land cover types and regulating commercial bumblebee trade. The researchers also said that the idea of human-assisted migration of bumblebees to areas where climate may be suitable for their persistence had a bleak possibility since it was an expensive undertaking and involved unintended consequences such as accidental movement of bumblebee pathogens among species. They added that the possibility of alternative species taking up the function of an efficient pollinator like the bumblebee was minimal since some bees are important pollinators of particular plant species, and there may not be others that take their place. The researchers have been alarmed by seeing the sharp decline in the habitat range of bumblebees and the exacerbating effects of climate change. They expressed the urgent need to halt climate change.